Dr. Mahlon A Kerr, MD is a Doctor primarily located in Austin, TX. He has 15 years of experience. His specialties include Plastic Surgery and Surgery. He speaks English. Dr. Kerr has received 6 awards. The overall average patient rating of Dr. Mahlon A Kerr is Excellent. Dr. Mahlon A Kerr has been rated by 25 patients. From those 25 patients 20 of those left a comment along with their rating. The overall rating for Dr. Mahlon A Kerr is 4.9 of 5.0 stars. with this being my first surgery Dr Kerr and his staff was amazing. I would recommend them to any and everyone. They did an outstanding job. Dr Kerr called the night after surgery. Two days after surgery I called their after hour line and I received a call back from Dr Kerr within an hour. Really helped ease my mind. Great work! Dr Kerr is amazing. Point blank simple ! There is never a wait time and he really explains himself and makes you feel so comfortable. The staff is great as well. I went and had a breast augmentation done 2 weeks ago and I couldn't be happier with my results. They look amazing. Dr Kerr also called me after surgery when I got home to check up on me which I thought was super sweet :) I really dk what else to say other than to please give him a try I promise you won't regret it! I drove over an hr to see him and it was so worth it. Thank you so much dr kerr ! After interviewing several plastic surgeons in the Austin area, Dr. Kerr and his staff stood out greatly from the others. Personable, confident, compassionate and he genuinely cared about my concerns for wanting plastic surgery. Iâm 40+ years old and elected to have abdominoplasty, mastopexy, and lipo. During the entire process Dr. Kerr always made me feel at ease by explaining every detail and answering my all my questions and concerns. Iâm only 8 weeks post-op and my results are truly amazing! Many thanks to Dr. Kerr and his staff for making this surgery a life-changing dream come true. I would like to thank Dr Kerr and his staff for the awesome service I received. If you are looking for a plastic surgeon I highly recommend Dr Kerr he is wonderful, he takes his time in explaining the process his staff is caring and friendly. I feel amazing I love my new body. Thank you Dr Kerr you are awesome. 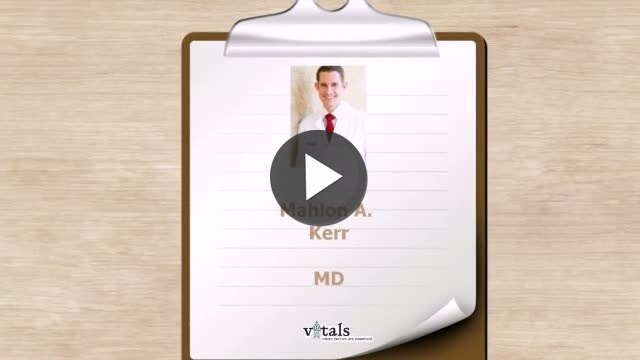 Take a minute to learn about Dr. Mahlon A Kerr, MD - Plastic Surgery in Austin, TX, in this video. Dr. Mahlon A Kerr is similar to the following 4 Doctors near Austin, TX. Have you had a recent visit with Dr. Mahlon A Kerr? Select a star to let us know how it was.